Featuring air conditioning, Peacefulness Split Apartments presents accommodation in Split. There is a seating and/or dining area in some units. There is also a kitchen, equipped with a fridge and stovetop. 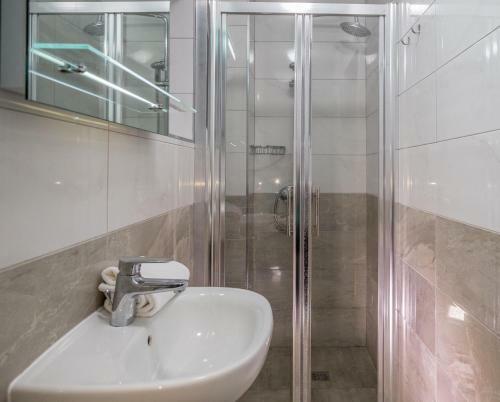 There is a private toilet with a shower in every unit. Gregory of Nin is 400 metres from Serenity Split Apartments. 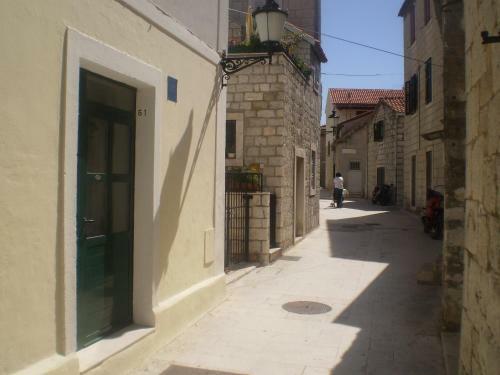 Apartment Marin ~0.1 km, Split price per day from € 80 Featuring free internet access, Apartment Marin is set in Split. It is 600 metres from Diocletian's Castle and Basilica of Saint Domnius. Each air-cooled apartment includes a seating area with satellite tv. The kitchen is fitted with a stove and oven. The toilet comes with a bath or shower. Apartment Marin is 700 metres from the harbour. Split Flight terminal is 20 kilometers away. Apartment Hedonist ~0.1 km, Split price per day from € 60 Apartment Hedonist presents accommodation in Split. The air-cooled unit is 500 metres from Castle of Diocletian. Gratis wireless internet is offered throughout the property. An oven, a fridge and a stovetop can be found in the kitchen. Gregory of Nin is 400 metres from Apartment Hedonist, while Basilica of St. The closest flight terminal is Split Airport, 12 km from Apartment Hedonist. 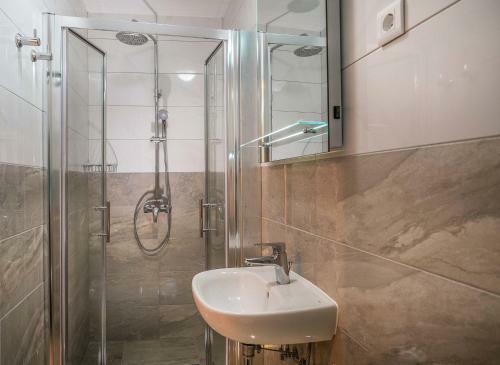 Apartment Petar in old part of town ~0.1 km, Split Positioned in Split, just 200 metres from the Castle of Diocletian, Apartment Petar in old part of city is a duplex apartment with facilities like gratis wireless internet and a washing machine. The apartment house comes with air conditioning and is 400 metres from the Basilica of St. The apartment spreads over 2 floors and presents 2 bedrooms, a living room with a sofa, a kitchen with a refrigerator and a dining area, and a toilet with a shower and free toiletries. Kastel Sucurac ( ~ 5 km ): 31+ apartments. Stobrec ( ~ 6.2 km ): 146+ apartments, 11+ villas, 6+ hotels. Solin ( ~ 6.5 km ): 13+ apartments. Beach Bene, Split ~ 0,5 km from Serenity Split apartments Gravel beach: ideal for families, recommended for young people, with restaurant, with caffe bar, equipped with showers. Excellent choice of watersports. Beach Zenta, Split ~ 0,5 km from Serenity Split apartments Rocky beach: recommended for young people, with restaurant, with caffe bar. Excellent choice of watersports. Beach Kastelet, Split ~ 0,6 km from Serenity Split apartments Gravel beach: ideal for families, recommended for young people, with restaurant, equipped with showers. Beach Jezinac, Split ~ 0,6 km from Serenity Split apartments Gravel beach: ideal for families, recommended for young people, with restaurant, with caffe bar, equipped with showers. Excellent choice of watersports. Beach Trstenik, Split ~ 0,6 km from Serenity Split apartments Gravel beach: recommended for young people, with restaurant, with caffe bar, equipped with showers. Excellent choice of watersports. Restaurant Adriatic Graso, Split Guest reviews: 8,1/10 ~ 1,5 km from Serenity Split apartments Address: Uvala Baluni bb, 21000. Cuisine: Mediterranean cuisine. Restaurant Velo Misto, Split ~ 1,4 km from Serenity Split apartments Address: Setaliste kalafata 2, 21000. Cuisine: Mediterranean cuisine, Croatian cuisine. Restaurant Bistro Topolino, Split ~ 0,7 km from Serenity Split apartments Address: Obala K Domagoja BB, . Cuisine: Croatian cuisine. Restaurant Dvor, Split Guest reviews: 8,9/10 ~ 1 km from Serenity Split apartments Address: Put Firula 14, 21000. Prices: 78 HRK - 336 HRK. Cuisine: Barbecue, Mediterranean cuisine, Seafood. Restaurant Caffe bar Tenis, Split ~ 1 km from Serenity Split apartments Address: Put Firula 18, 21000.